Then there is no need to waste your time anymore! The solution is here, right in front of your eyes! 1. The design that provides comfort. 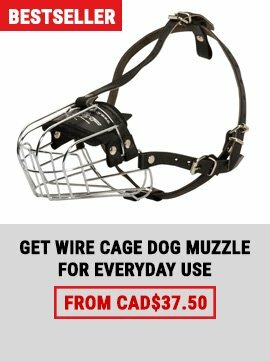 This very muzzle fully covers the snout of your pet, but it is spacious enough to give him necessary freedom of breathing (there are also special ventilation holes for it). It protects your dog from skin irritation due to interior padding made of thick felt. 2. Reliability. 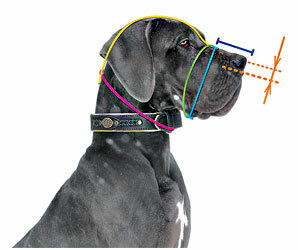 The muzzle is extra durable as it is designed specially for training. 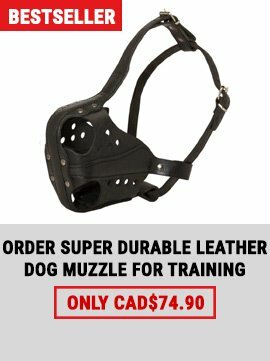 Front steel bar covered with leather, neatly stitched non-stretching leather straps and durable rivets will minimize the risk of breaking or damaging the muzzle during your work with dog. 3. Style. 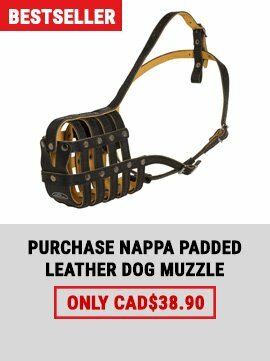 The muzzle combines style and practicalness. You know, that a working dog needs a uniform, and now you can give it to your pet! - you should make all the necessary measurements attentively.